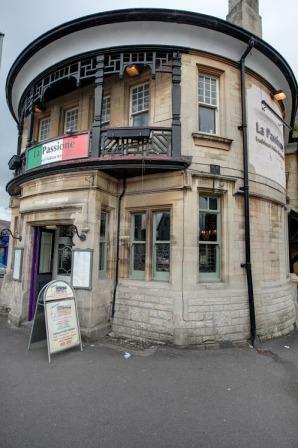 Situated in a landmark listed building at the Little George roundabout near the centre of Chippenham, La Passione has undergone significant refurbishment before opening earlier this year. Inside is a beautifully furnished space with plenty of tables for romantic dining as well as for larger parties. There is also a large bar area to enjoy a drink before you eat. With a great deal of experience in the catering business - and owning two other established restaurants in Wiltshire and Gloucestershire - La Passione brings the unforgettable traditional flavour of Italy to the town.